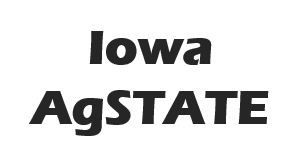 (INDIANAPOLIS) – Staying true to its core principle that farmers should be in control of the data collected on their operations, the Agricultural Data Coalition (ADC) today announced the formation of a farmer advisory board. The advisory board, which currently consists of 10 men and women, will help guide ADC as it develops a data management repository to house agricultural information. “The full potential of our agricultural data is not currently being realized because of management, storage, portability and delivery challenges,” said Joe Luck, Assistant Professor and Precision Agriculture Engineer at the University of Nebraska-Lincoln, a founding member of the ADC. “The mission of the ADC is to build a farmer-friendly product that will aid farmers in getting the most out of the vast amounts of data they collect every day, and the expertise this group of producers brings to the coalition will prove to be essential to that mission’s success,” he added. Advisory board members farm in seven states and raise crops ranging from corn and soybeans to cotton, sorghum, wheat and potatoes. This kind of diversity will help ensure that ADC is meeting the needs of all, explained Dr. Keith Coble of Mississippi State, another ADC founding member. ADC’s mission is to create a neutral, independent warehouse where farmers can securely store and control the data generated by their tractors, harvesters, aerial imaging and other devices. Over time, that information can be scrubbed, synchronized and transmitted in an efficient and uniform way to third parties — whether they be researchers, insurance agents, government officials, farm managers, input providers or anyone else the farmer chooses. Matt Bechdol, ADC’s interim executive director, said the ADC is entering a pilot phase and that many advisory board members will be among the first to work with ADC to drive short and long-term user needs. ADC Founding Members include: The American Farm Bureau Federation, AGCO, Auburn University, CNH Industrial, Crop IMS, Ice Miller LLP, Purdue University, The Ohio State University, Raven Industries, and Topcon Positioning Group. A list of advisory board members, along with quotes about why they are part of the ADC movement, can be found below. More information on the ADC is available at www.AgDataCoalition.org.